Thirteen Lebanese and Syrian nuns who were kidnapped by rebels from the historic Christian town of Maaloula in December have been released and are now returning back to Syria after traveling through Lebanon. The nuns arrived in the village of Jdeidet Yabus on the Syrian side of the border with Lebanon late on Sunday. Lebanon's intelligence agency, General Directorate of General Security, earlier confirmed that the Orthodox nuns were freed and taken into Lebanese custody. The nuns were transferred to the village of Arsal, western Lebanon, earlier in the week, the source told Reuters on Sunday. 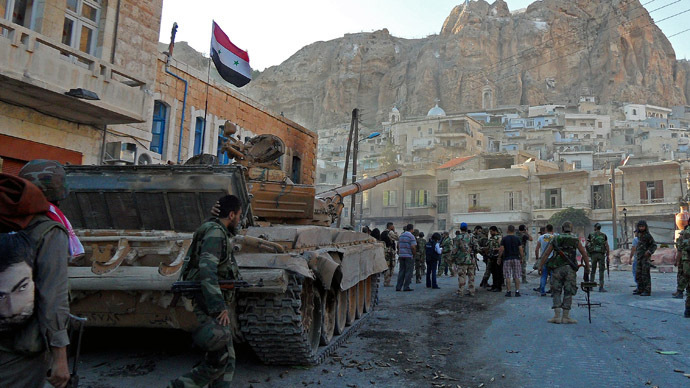 Their whereabouts and condition remained unknown for over three months, with first reports of the abduction emerging in early December as Islamist rebels seized the ancient quarter of Maaloula, a predominantly Christian town and UNESCO heritage site in eastern Syria. "What the Syrian army achieved in Yabroud facilitated this process," Syrian Greek Orthodox Bishop Louka Khoury speaking to reporters at the border. It is unclear exactly who had held the nuns and why they had been released now. However, the Syrian Observatory for human Rights, a monitoring group that largely sides with the opposition, identified the rebels who took the nuns as militants from the Nusra Front, an affiliate of Al-Qaeda and one of the radical groups fighting President Bashar Assad’s forces. Lebanon’s General Security Chief the head of Qatari intelligence were reported to have played a major role in the negotiations. Earlier, the Nusra Front had reportedly been demanding the release of 500 militants held in Syria and Lebanon in return for the nuns, according to the Al-Mayadeen satellite channel. 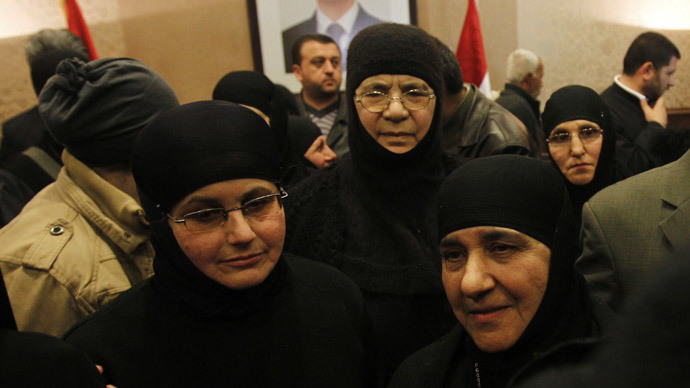 The Observatory, as well as a rebel source, said that the release of the nuns had been agreed as part of a prisoner swap with scores of women held in President Bashar al-Assad’s jails. “The deal is for the release of 138 women from Assad’s prisons,” the rebel source said, Reuters reports. Syrian Greek Orthodox Bishop Louka al-Khoury told reporters that the release marks progress. "What the Syrian army achieved in Yabroud facilitated this process," he said. 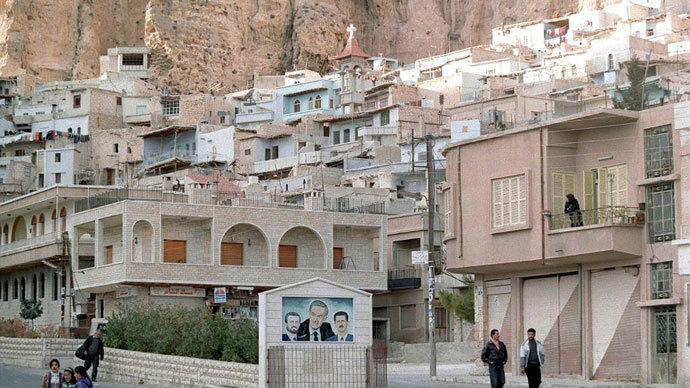 The nuns were kidnapped during fierce fighting between rebel forces and the Syrian army for control of strategic Damascus – Homs highway, which passes close to Maaloula. Soon after being abducted, the nuns were moved to the nearby rebel-held town of Yabroud 20km away. The date for the release was reportedly set to coincide with a ceasefire in Yabroud, which began at sunset on Sunday. Later in December a video of the nuns was broadcast on Al-Jazeera. A commentator said that the nuns were in good health and were waiting for their release to return to their convent in Maaloula, the Monastery of Mar Thekla. The video did not give any indication of where the nuns were. 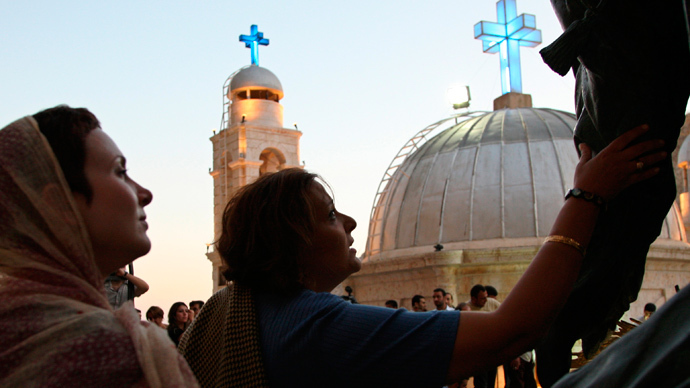 Syria's Christian minority has sometimes found itself caught in the middle of the fighting in the civil war, which, having started in March of 2011, is quickly approaching its third year and is becoming increasingly sectarian.